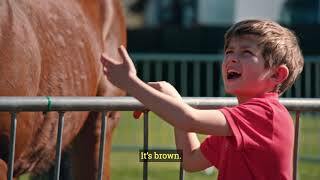 Watch David Walliams and his son Billy as they experience all that’s brilliant about a day out at the races. From meeting Champion Jockey Ryan Moore, to experiencing the parade ring, to watching a race and meeting a racehorse they certainly have an eventful time! It’s Billy’s birthday and he is trying to decide what to do for his birthday with his dad (David Walliams). Billy decides he wants to go to the races and educates his father at what there is to do there and that Under 18’s Race Free. 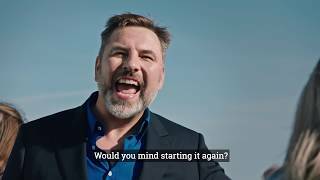 David Walliams and Billy go on in search for a little advice from a champion jockey. Thankfully three-time champion Jockey, Ryan Moore, is on hand to help them out. David and Billy head down to the track and watch a race on the rail. But first they check out the race card and a few interesting horse names.